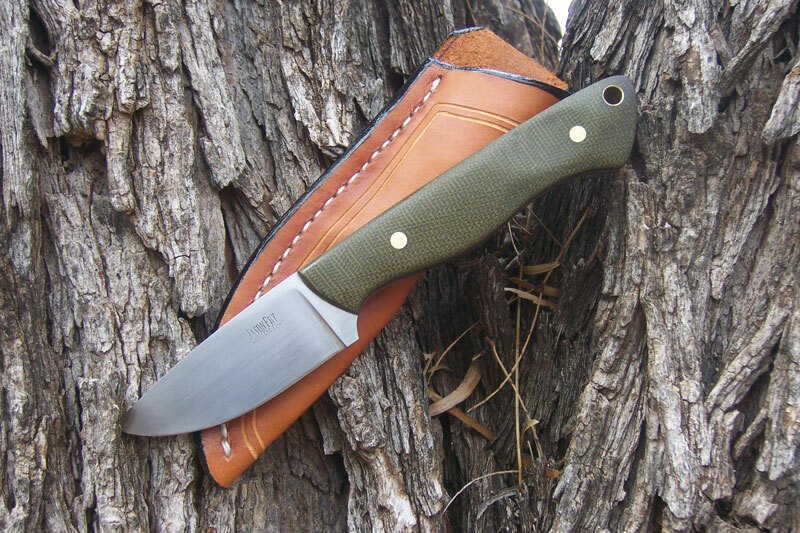 I had a Loveless style drop point hunter ground out in profile sitting on my bench for at least a year. I just wasn’t interested in finishing it out, so I re-profiled it into this blade. 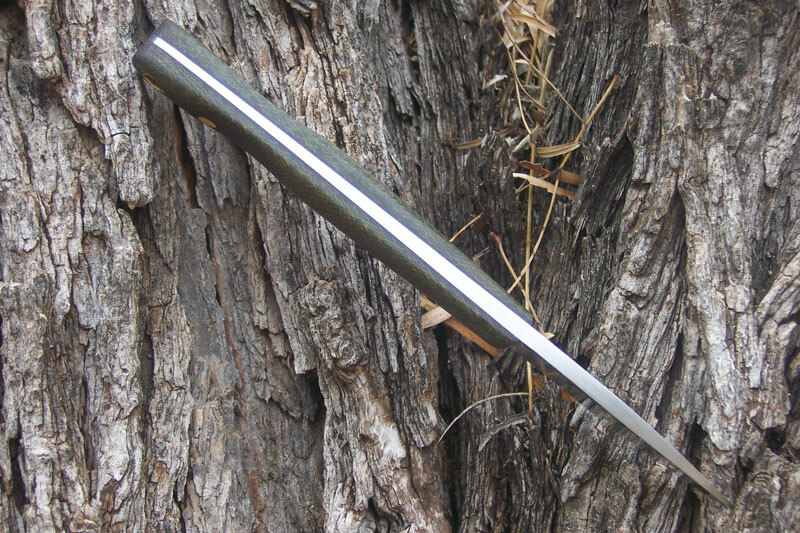 The blade is D2 steel at 61 RC with flat ground bevels and a nice thin tapered tang. 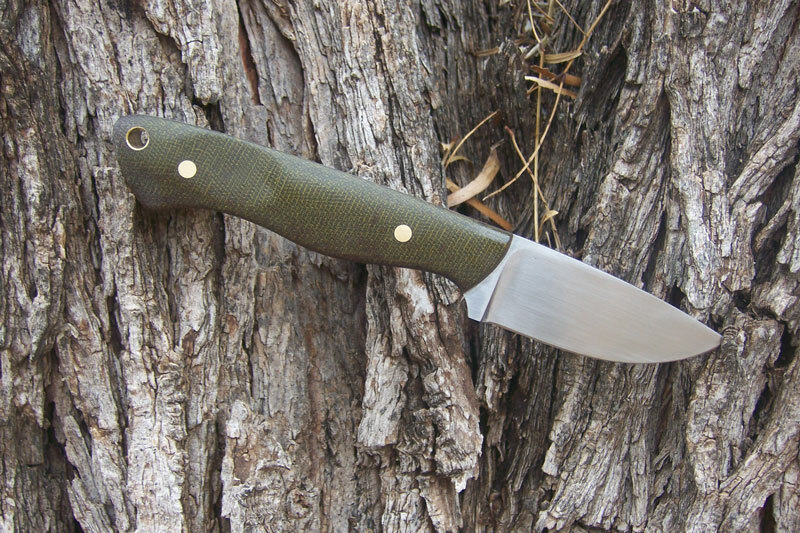 The handle material is contoured green canvas Micarta. 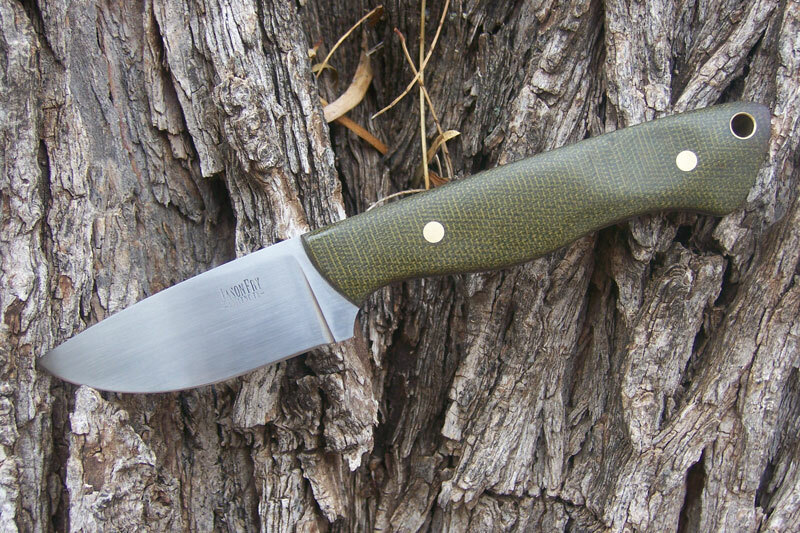 I have not been as tempted to keep a knife in a long time. Price on one like this starts at $175.